Check out this site, excellent reference for any shell script syntax. Awesome, super easy to use Perl web framework, check it out! Make sure to subscribe to my channel for more videos on UNIX, Perl and SQL. co -l script.sh – checks out a file, holds the lock. At least 2 new videos on UNIX and 2 new videos on Perl. Stay tuned! Funding will go to upgrading blog service to premium account and future web hosting for the site. 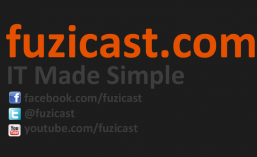 We plan to expand fuzicast.com into a community site with helps from experts, creating more interactions among users and helps for each other.